The file Tzars and Salesmen v.Winter 2018 (3122018) is a modification for Age of Empires II: The Conquerors, a(n) strategy game. Download for free. 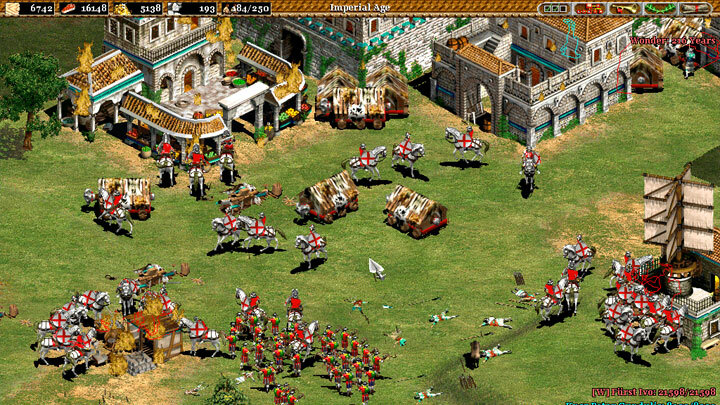 Tzars and Salesmen is a mod for Age of Empires II: The Conquerors, created by Ivacula. An alternative Expansion for the Age of Kings, requires the Conquerors for installation, but makes its own changes and de-activates the Conquerors campaigns. Appends the Balkan Tzardoms, Hungary and two Italian city-states to the list of playable factions. For now only random maps playable, but might feature a campaign in later updates.